This one day symposium provides an inter/cross-disciplinary platform to explore different ways we come to know, understand, collaborate on and communicate research of the gendered nature of sports media, in particular the representation of femininity. It will bring together early career researchers and academics from range of disciplines (including, but not limited to, sociology, cultural studies, human geography and politics) who are interested in exploring the construction of gendered identity in modern mediated sport, and who would like to make an ongoing contribution to an inter-disciplinary understanding of sports media. It is hoped that the symposium will lead to a special edition of Ethical Space: The International Journal of Communication Ethics. To submit a proposal/abstract please send a title, a 200 word abstract, five key words associated with your work, the author(s) names, affiliation, and type of presentation. Please send abstracts in a Word document (.DOC or .DOCX) as an email attachment and add “Abstract: Sports media & femininity symposium 2018″ to the email subject header. While this event is aimed primarily at Early Career academics and researchers, we welcome people at all stages of their academic careers. A limited number of bursaries of up to £50 are available to cover travel expenses for presenters. 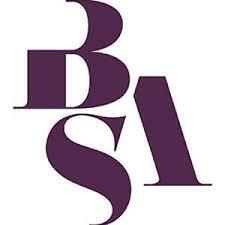 For more details, or to book, please visit the BSA website, here. Previous What do you think are the most annoying phrases to describe women’s football?